The top Commercial Catering Supplier manufactures and supplies different food preparation equipments that are made from the premium quality stainless steel. While choosing the most efficient KhoyaMawa Making Machine for commercial use, the top manufacturer of the equipment is there to cater your needs. The machine is totally automatic to make sure it can be used easily and effortlessly by the staffs working in a commercial kitchen. The machine is manufactured in the custom capacities that vary from twenty to a thousand liters. Khoya can be made in the kettles and can be prepared quickly in a couple of minutes using huge quantities of milk. 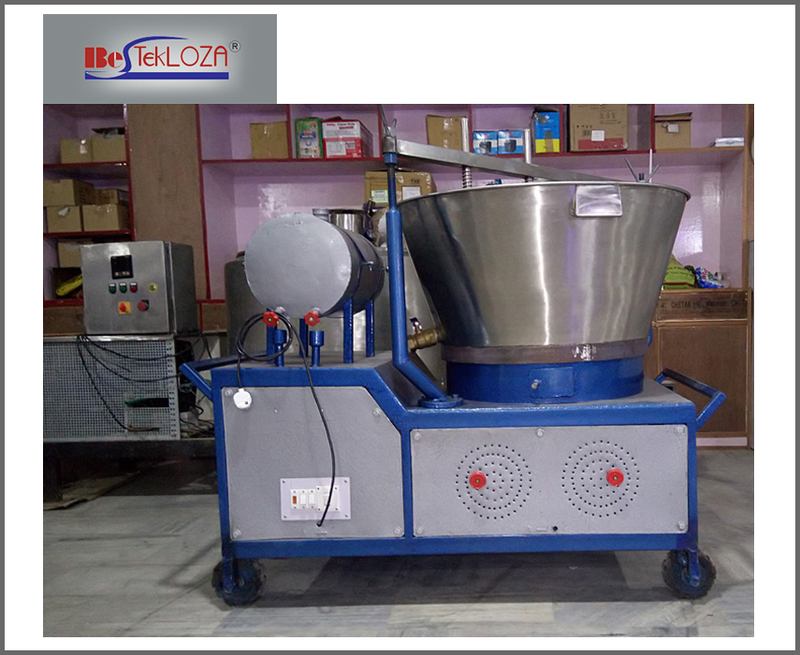 The top Commercial Catering Supplier that manufactures this equipment too can be the one to offer the user-friendly and highly functional machine for making khoya in huge quantities. The machine is constructed considering the demands and requirements of the customers. The introduction of this versatile machine has revolutionized the process by which khoya is made. The machine is mechanized and retains the original taste and flavor of the ingredients and maintaining the nutritional value of milk. Even if it is simple in design but still is capable of meeting all your purposes efficiently. This multipurpose machine can be used in making other sweet delicacies like panda, burfi, cashewnut, basundi, etc. on a large scale. The khoya making machine is designed to provide a sturdy structure, which can withstand long operation hours. For the benefit of the customers, the containers are provided with covers and the equipment is provided with handles for simple handling. Preparation of burfi, Kaju Katli, Kalakand, Besan Laddu, etc. The khoya making machine is one of the most demanding equipments for its versatility, efficiency, quality, and outlook. The top manufacturer builds this machine on turnkey basis by using stainless steel. Stainless steel do not affect the original quality of milk. The machine manufactured here has a modern outlook along with extensive sturdiness. The manufacturer and supplier has earned loads of appreciation from its clients for its excellent speed and performance. The machine is supplied at a very competitive price. The machine is an energy saver too. It consumes less fuel and offers an impeccable performance along with longer service, which makes the machine ideal for any sweet making establishment. So, if one needs this machine, get in touch with the manufacturer. The establishment will not only supply the machine but will also provide comprehensive information about the equipment.